MainAll NewsInside IsraelWill religious soldiers be forced to shave? Will religious soldiers be forced to shave? Outrage over new IDF orders, as hundreds of religious-Zionist soldiers say they will go to jail rather than violate religious convictions. New IDF orders to come into force Wednesday will force soldiers to navigate an apparently purposefully impossible obstacle course of bureaucracy, in order to gain permission to grow their beards for religious reasons. The new orders have caused consternation and anger among national-religious soldiers and leaders, who say it is part of a concerted attempt of secularization by some political officers and elements of the IDF top brass. According to the new directives, a soldier who wishes to grow or keep his beard for religious reasons will need to receive official approval from the IDF Chief Rabbinate, his unit commander and his adjutant commanding officer. The new orders were revealed shortly after a 19-year-old religious officer reported being told he would have to shave his beard or face a court martial. In recent days the Association of Hesder Yeshivot has received hundreds of complaints from soldiers, who claim they were either denied permission to keep their beards without any reason given, or simply received no response from one or more of the offices they petitioned. As a result, come Wednesday they will be forced to shave their beards. The Association's head, Shmuel Yosselzon, has turned to the head of the IDF Manpower Division to appeal for the enactment of the new measures to be delayed, until a clear answer can be given to each soldier who made a request - including a clear reason for rejecting those who did not receive permission to grow their beard. 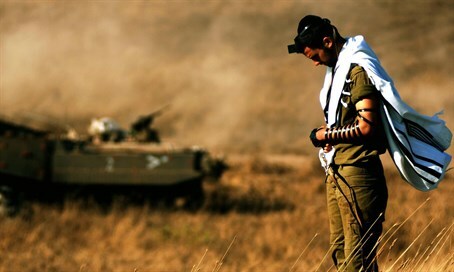 Hesder yeshivas are religious-Zionist institutions which combine Torah study with army service. "Hesdernikim" make up a significant proportion of the army's religious Jewish recruits, along with graduates of religious pre-military academies (mechinot) and other yeshivas - all of whom will similarly be effected. Compounding their sense of outrage, numerous religious-Zionist soldiers have reported that while their requests were denied, those made by haredi soldiers have all been automatically accepted - proof, they say, of a concerted attack specifically on the national-religious or "knitted kippa" public, which in recent years has become increasingly visible and influential within the army. Religious-Zionist or national religious Israelis are disproportionately represented in combat units, most elite units and among IDF officers. Left-wing activists and politicians have recently attempted to push back against the phenomenon, most notably - and controversially - in stripping the IDF Chief Rabbinate of some of its authorities and handing them over to administrative departments. One religious soldier claimed that his Brigade Commander had issued a sweeping order to all of his soldiers - among them two classes of hesder yeshiva students - to shave off their beards. According to the soldier, the commander explained his decision by saying that the office of the IDF Chief of Staff had issued directives to radically decrease the number of permits for beards issued by the army. Many soldiers have already declared that they are prepared to go to jail rather than shave their beards in violation of their religious convictions, lamenting the fact that in a Jewish state soldiers would be forced to choose between their adherence to Jewish customs and practices or service in the military. Some Jewish schools of thought mandate men to grow their beards, but while most do not strictly require it, beards are seen by many as an important religious symbol. Yosselzon told Arutz Sheva that the new orders were totally unprecedented and unwarranted. "The State of Israel's security problems and the challenges which face the IDF are so great and significant that the decision to torment soldiers who grow their beards is inappropriate and unacceptable," he said. "There are hundreds of soldiers from hesder yeshivas, religious pre-military academies, and others who see their meaningful service as IDF warriors as a Torah commandment, and the orders to remove their beards is not consistent with the IDF's essence as the army of the state of the Jewish nation." The Association of Hesder Yeshivot has said it will turn to the High Court if necessary. On Sunday, the Association's leaders are to hold a special meeting to decide their position going forward.